I agree with Dora Kostakopoulou that the reconstruction of EU citizenship as an autonomous status could provide a new cornerstone for European integration. Richard Bellamy’s argument that such a move would “erode civicity and solidarity” in Europe reifies the nation-state as the only legitimate arena for the exercise of self-determination in pursuit of the collective good. This precludes the possibility of the establishment of new duties to complement existing rights at the European level. I would argue, however, that Kostakopolou’s argument for a “co-determined Eurozenship” would not go far enough in realising the potential of the status. This post develops this argument first by grounding the normative appeal of autonomous EU citizenship in the context of Member State withdrawal. Next, it is suggested that the co-determination of the status by Member States and the EU institutions would be incompatible with the current legitimacy foundation of the EU. The post concludes by considering the more radical alternative of EU citizenship being made autonomous so that individuals can exercise constituent power to re-establish these foundations of the European Union constitutional order. I am sympathetic towards the arguments forwarded by Rainer Bauböck that the creation of an autonomous EU citizenship would not address the inequities of nationality law at the micro-level of individual cases. Therefore, I would agree with Bellamy’s diagnosis that Brexit provides the dominant driver and the most compelling justification for Kostakopoulou’s proposal. The voluntary decision of a Member State to withdraw from the EU explodes the tension between nationality and EU citizenship as domains for the self-determination of EU citizens. As Jürgen Habermas has explicated, the present basis of legitimacy within the European Union is the sharing of constituent power between individuals in their role as nationals of a Member State and individuals in their role ascitizens of the EU. The direct derivation of EU citizenship from the nationality of a Member State mandated by Article 20 TFEU, in conjunction with the possibility for a polity to revoke its membership through Article 50 TEU, means that nationality remains the ‘master status’ for the dual-constituent balance in the European constitutional order. This is also reflected in the accession rules in Article 49 TEU. Member statehood – and thus EU citizenship for the nationals of that state – can only be conferred through a unanimous international agreement with the pre-existing Member States. Kostakopoulou’s proposal for partially disconnecting these rules for the conferral of EU citizenship and enabling them to be ‘co-determined’ with the EU institutions would disturb the balance whereby the conferral of EU citizenship rests with the decisions of individuals asMember State nationals. It is unclear from the proposal what the incentives would be for the nationals of the Member States to direct their representatives in the amendment of the Treaties to create such a generalised competence for the EU institutions to determine who may hold EU citizenship. The only incentive would seem to be a form of solidarity with long-term residents Third Country Nationals (TCNs) who are presently barred from naturalising as EU citizens. Bellamy correctly observes that the “most valuable rights are, for the most part, not rights that are offered by EU institutions…but rights that are upheld by the constituent states”. This suggests that political efforts to ensure secure residence for TCNs would be better directed towards attempts to liberalise the regime for enabling naturalisation at the national level. Bellamy does concede, however, that the exceptional added value of EU citizenship is the right to vote in European Parliament elections. Enabling the European institutions to bestow EU citizenship on resident TCNs would therefore provide them with a means of exercising political subjecthood in the creation of EU law norms through the direct election of European legislators. Crucially, however, the dual-legitimacy basis of European legislation means that individuals who hold EU citizenship without nationality of a Member State would be subjected to legislation of which they have only had a partial opportunity to approve. The ordinary legislative procedure mandated in Article 289 and Article 294 TFEU means that the European Parliament functions only as a co-legislator with the Council of the EU. Conferring EU citizenship upon TCNs would only guarantee their voice in the European Parliament; they would have no representation in the Council which is indirectly legitimated by ministers appointed on the basis of national elections. Therefore, within the current construction of the European supranational constitutional order, enabling the European institutions to determine EU citizens independently of Member State nationals would not contribute to the full exercise of self-determination of these individuals. It may be argued that such partial representation is better than no representation. As a counter-argument, the disconnection of EU citizenship from Member State nationality would be a revolutionary step. In such a context it may be expedient to eschew incrementalism and instead embrace a holistic reform of the status. The ‘co-determination’ of EU citizenship with the European institutions would not serve to substantiate the status as one of true self-determination. The only situation which would warrant the disconnection of EU citizenship from Member State nationality would be for the status to become a means of exercising constituent power. This would serve as a reconstruction of the foundation of the European Union. This is currently based upon the mixed constituent power of individuals asnationals and individuals asEU citizens. In its place, a singular European constituent power would be created through individuals being given the choice to be EU citizens. This would provide the basis for the creation of a new constitutional settlement within the European Union. Such a revolutionary disruption could be envisaged as a reaction to the hypothetical progression of a domino effect from Brexit cascading into disintegration of the European Union. A constitutional decision to withdraw from the European Union represents the end of the consensus on ‘levelling up’ constituent power to the supranational level. A fissure is opened between those nationals who do regard their EU citizenship as a means for self-determination and those who do not. This majority and minority dynamic towards European integration lurks under the surface of all Member States who have not held a referendum on membership. Although unlikely, the remote possibility remains of multiple Member States withdrawing from the EU. On the basis of national democratic majorities, this would extinguish the EU citizenship of all, including those who regard it as integral to their social and political identity. In the face of such a fault-line amongst the population of Europe towards integration, one could formulate an argument for the choice being given to those entitled to EU citizenship on whether they wish to hold the status or not (an argument I have articulated in-depth in an article for the Cambridge Yearbook of European Legal Studies). Those who choose to be European citizens would then form the nucleus for the formation of a constitutional convention to determine the design of a future European constitutional polity. Clearly such a constitutional moment would go far beyond the ambit of the current Treaty structure of the European Union. The repatriation of constituent power by domestic electorates could provide the impetus for a counter-movement establishing constituent power at the European level. This would serve to preserve the achievements of integration for those who regard their European identity as a means of self-determination. If we accept the argument that the original sin of European integration was a lack of popular legitimacy, it may be argued that such a leap of faith is a necessary step to either validate or invalidate the European project in the current climate of stagnation. In conclusion, therefore, I agree with Dora Kostakopolou that autonomous EU citizenship could provide a way forward for the troubled status of European integration. In accordance with Richard Bellamy’s argument, however, I believe that such an autonomous status will only help resolve rather than exacerbate Europe’s problems if it functions as a means of true political self-determination. 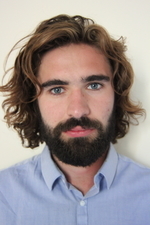 SUGGESTED CITATION Garner, Oliver: EU Citizenship as an Autonomous Status of Constituent Power, VerfBlog, 2019/1/28, https://verfassungsblog.de/eu-citizenship-as-an-autonomous-status-of-constituent-power/, DOI: https://doi.org/10.17176/20190211-215114-0.